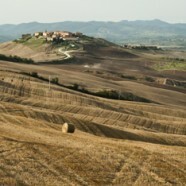 Home » EUROPE » Tuscany by car? Top 5 scenic routes!!! 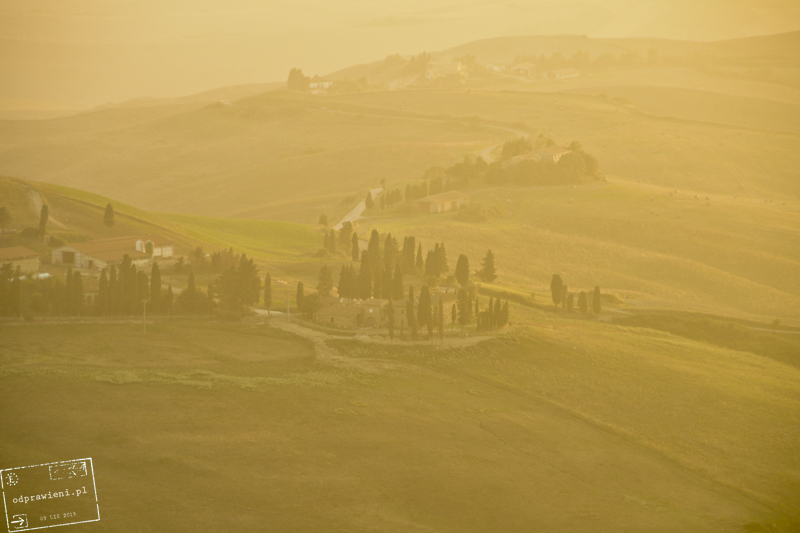 Tuscany – perfect place to visit by car, motorbike or bicycle. Traveling just from point “A” to point “B” in Tuscany should be forbidden and considered as a crime;-). 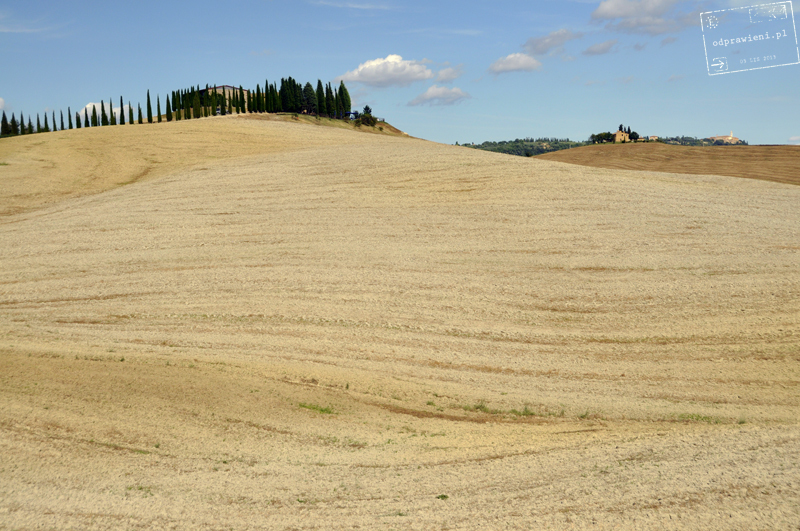 Getting lost in Tuscany is highly recommended, veer off from main roads… look for own places, be spontaneous. 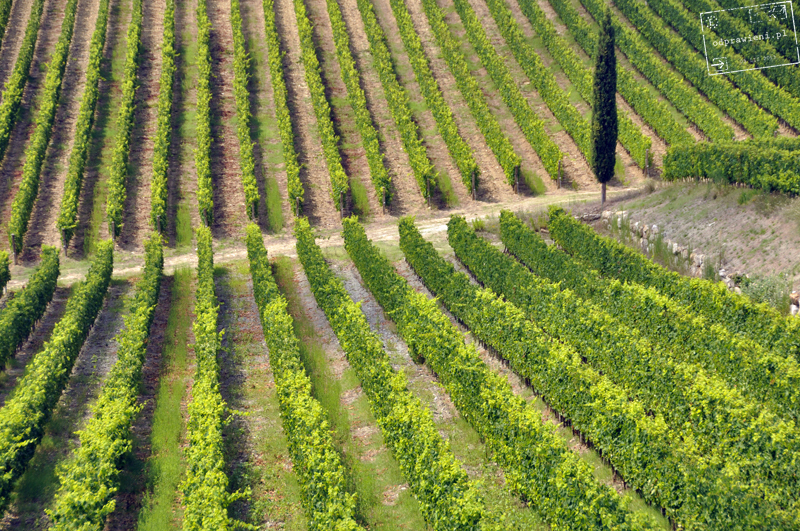 We have visited Tuscany several times and always we discovered something new. 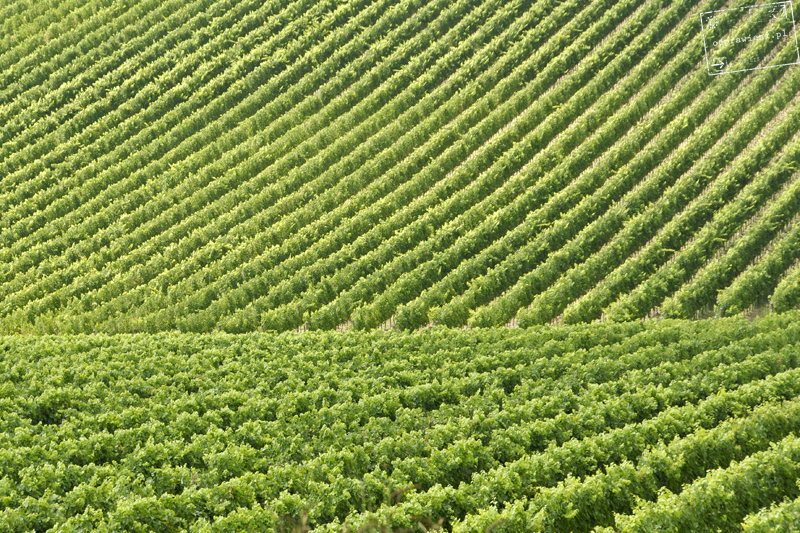 You can make there any idea of trip you can imagine: vineyards trail, movie scenes trip, culinary trail… or just get into the car and go ahead looking for beautyful places… without any specific plan. 1. 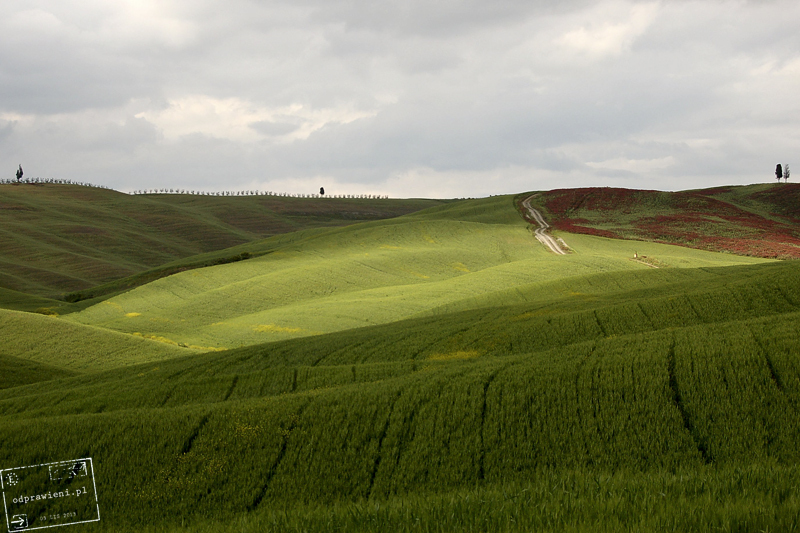 Picture-perfect route SS438 between Siena and Asciano cities in the Crete Senesi/Crete Lunari region. 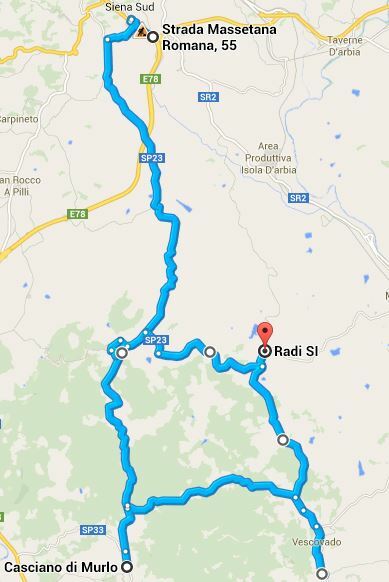 That is one of the most dangerous 20 kilometers in Tuscany, really. Why? The concentration of the beauty outside the window increases up to the level where you can easily lose focus behind the steering wheel. You will go crazy looking around! 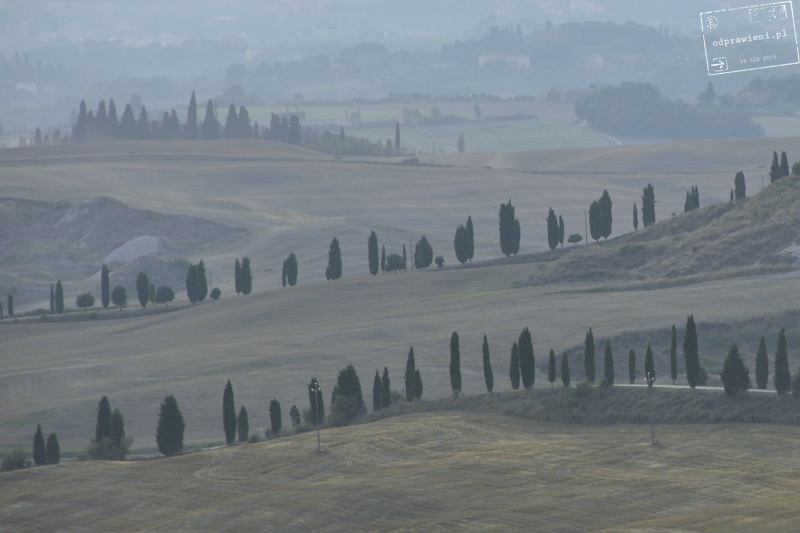 Typical Tuscan landscape: cypress lanes, misty hills. You don’t need Photoshop or any filter. 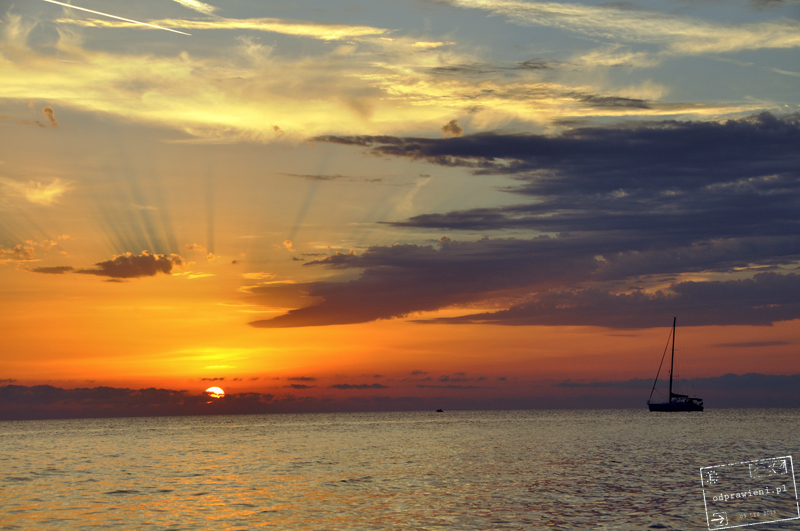 The best time to go there is just before sunrise or sunset when the light is gentle – golden hour for taking picture. Remember about it mainly in high season (July-August) when the sun is really hard during the day. 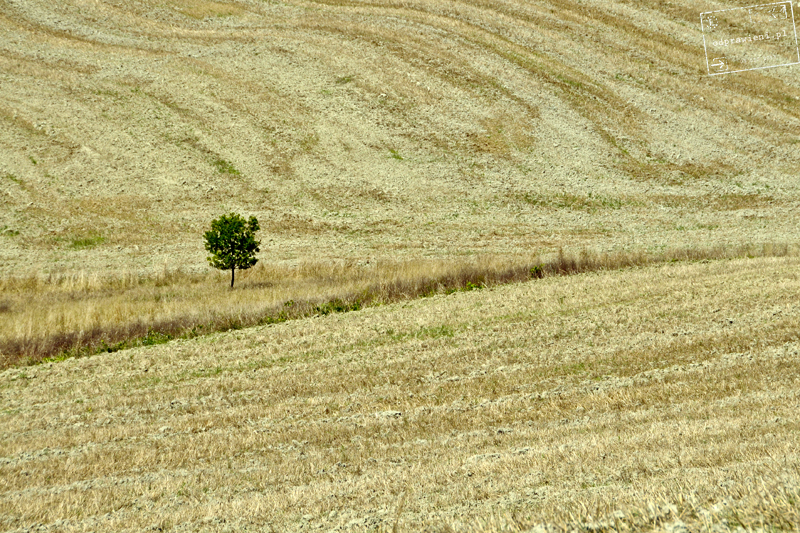 Tuscan landscape is different depending on season, from sunburned yellow during the summer, to deep green when the spring begins. Route SS438 is not so long, you will find separated places where you can stop and take a picture. Please believe me sometimes you’ll have to do it every hundred meters so that’s good somebody thought about it. 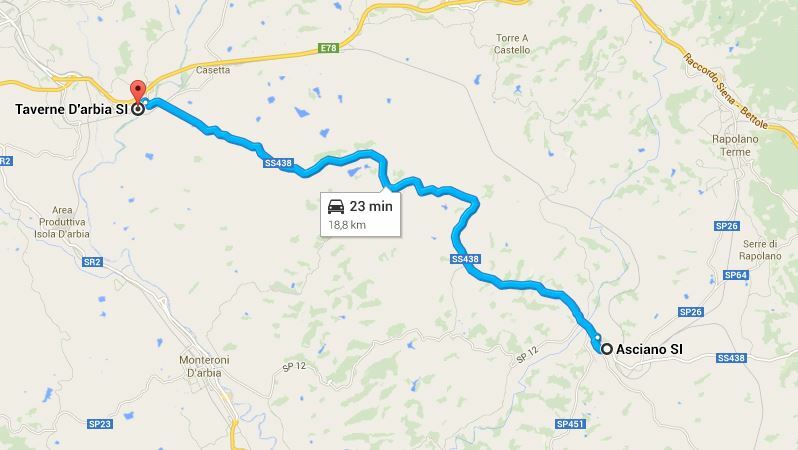 As you can see on the map Asciano can be reach as well from Torre a Castello and Monteroni D’arbia. We checked these two options. Dirt road from Torre de Castello is not as spectacular, not so easy to drive. You can easily drive there by car without 4×4 drive but, taken into account what you see outside the window it’s not worth to go there. Road from the Monteroni side, that is just asphalt road shadowed by trees… also nothing special. What we can recommend, make this round couple of times, back and forth, at different time during the day and then direct to Pienza. 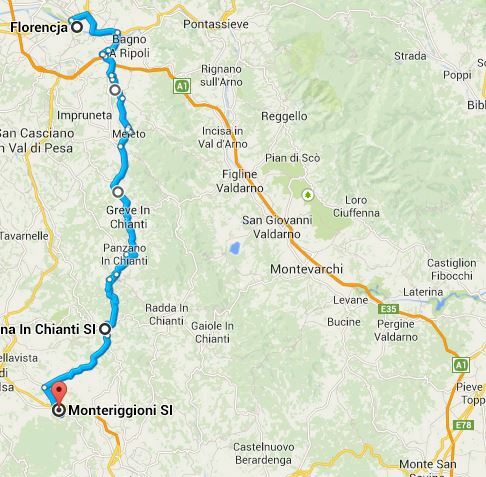 Don’t choose highway but drive via San Giovanni d’Asso directly to Pienza. The road leads through the hills and is quite nice for eyes. 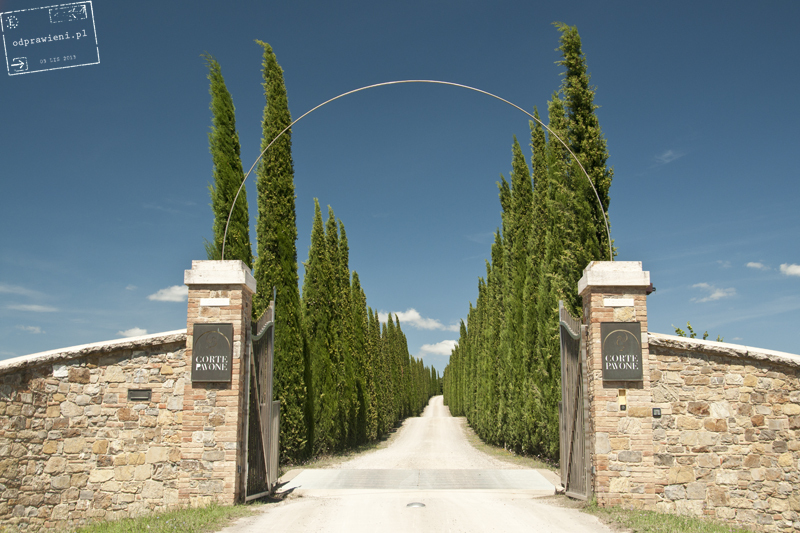 Probably the most famous and longest cypress lane in Tuscany. 2. 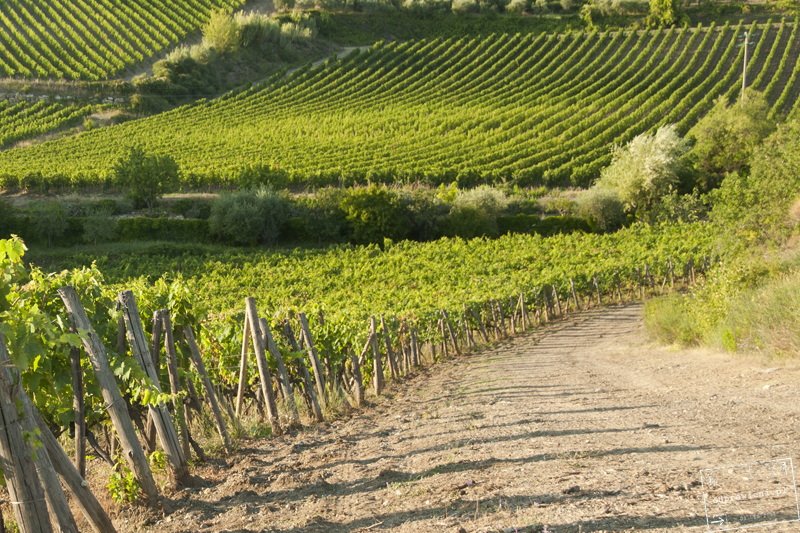 Wine covered route in the Chanti region. We discovered this road by accident, in the way to camping by the way one of the best in our private ranking (Camping le Soline). At the beginning route leads via forest, slowly going up.. but all the time is only nicer and nicer, I mean changing beautiful views outside. 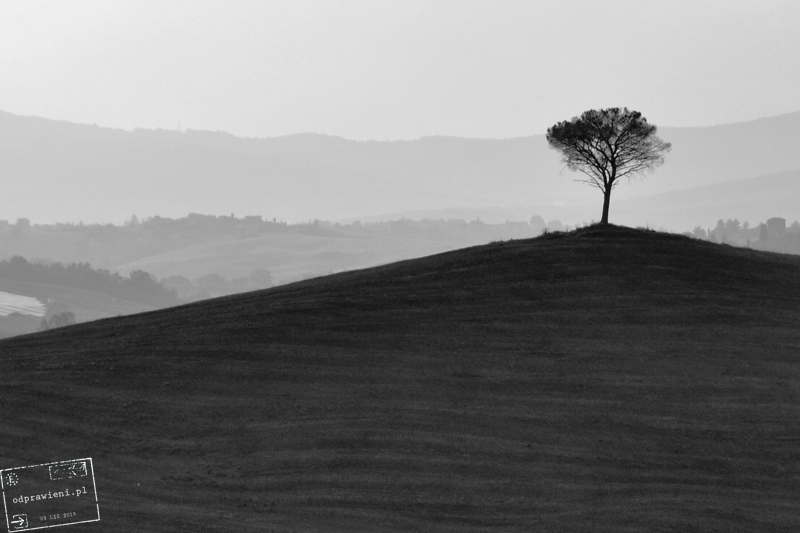 Space, endless fields, lonely cypresses, occasional wineyards and other treasures in the Tuscan countryside. Definitely veer off to small village Radi. That is really short, few kilometer distance but very impressive. Trail I very popular within the bikers. 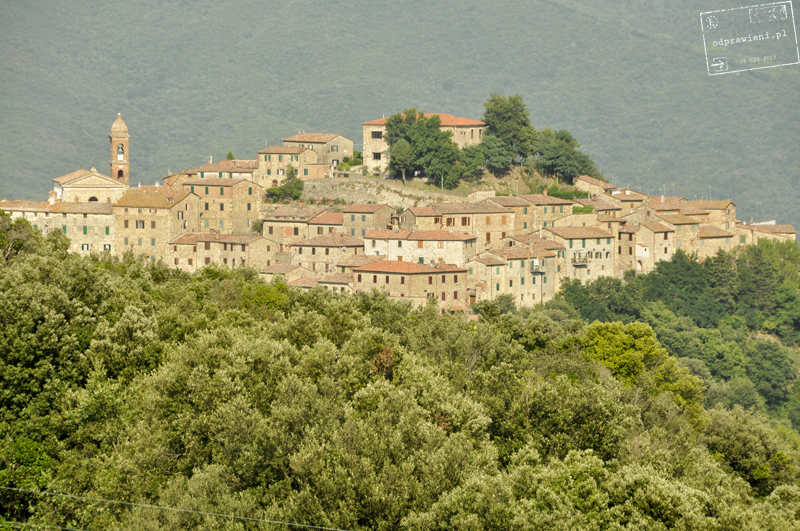 Take a look on Murlo village as well. Usually nobody is there, we don’t know why because like most of the small hidden villages is beautiful. Somewhere in the way to Radi city. 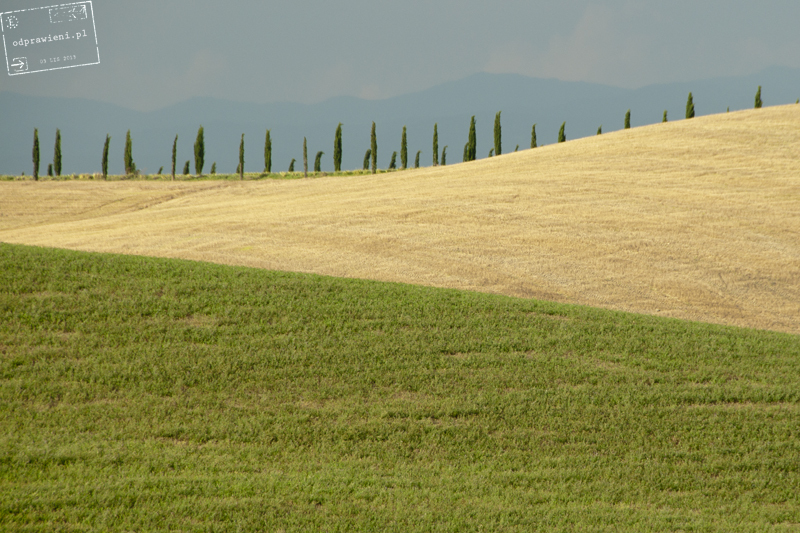 Alone trees and cypresses fulfill the dual function … define the border and they are a natural lightning rod. In the way to Casciano di Murlo. 4. 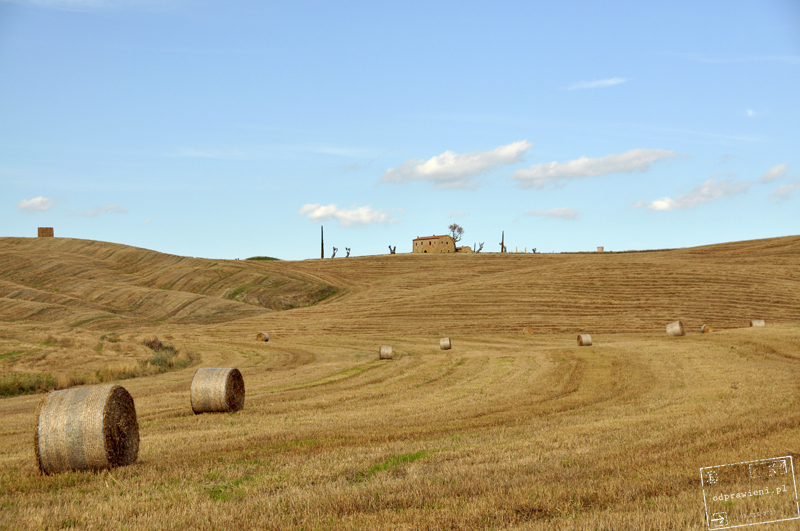 Around Pienza… famous Val D’Orcia. 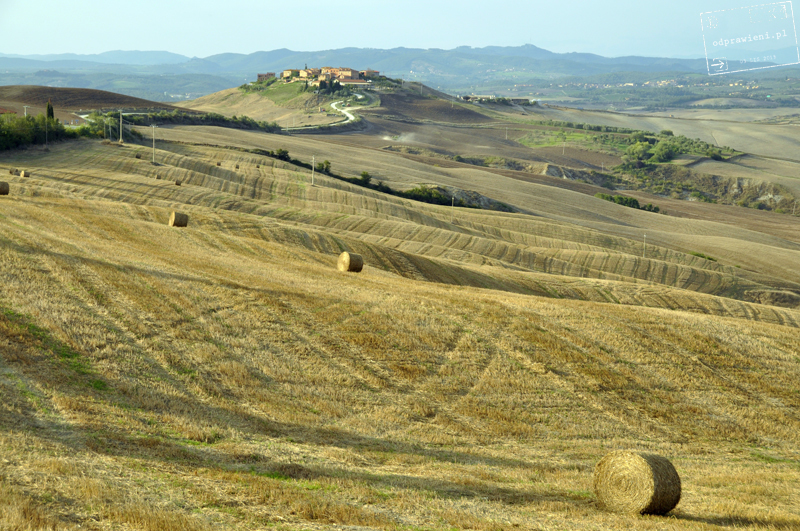 - Route Montalcino – San Quirico D’Orcia – Pienza – Montepulciano. The most non-tuscan part of Tuscany at least that is not what you know from the postcards. Tuscany that is not only characteristic greenfield but hunder of kilometers of the Tyrrhenian and the Ligurian coast as well. 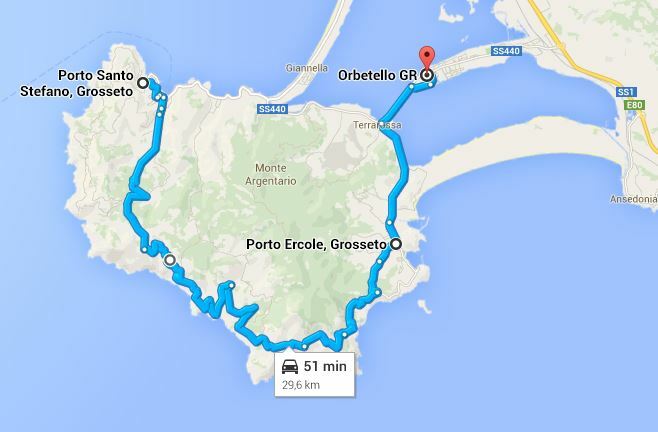 Route, definitely worth to mention and recommend is scenic and spectacular route around Penisula of Argentario. 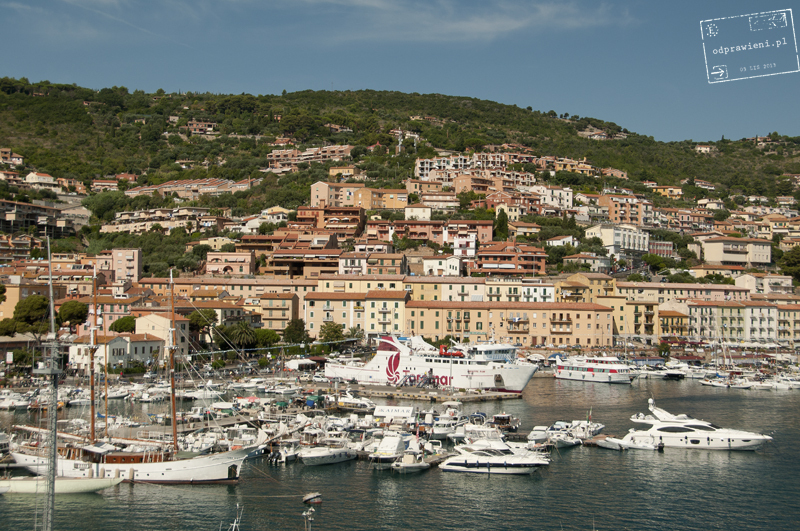 At the start, it is worthwhile to visit the small town of Porto Santo Stefano, then follow the road Panoramico (signposts). The road climbs up to a few kilometers to reveal the truth impressive view of the sea. In fact whole lenght that is one long winding road because only short distance goes through the forest. If you have more time, you could find own wild beach because there are some out there, but to get to them, you have to do a mini trekking down the slope. 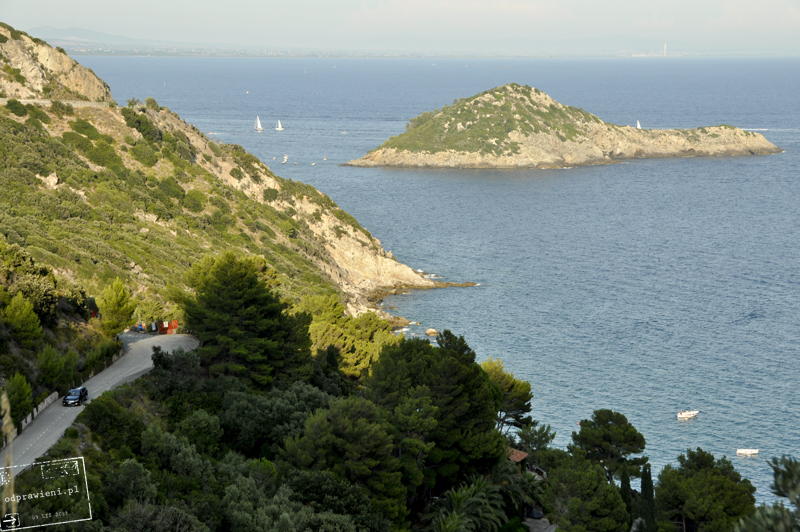 In my opinion,the Argentario peninsula is the most attractive and diverse place on the Tuscan coast. You will find there both, small charming towns like Porto San Stefano, Porto Ercole or Orbetello and wild green nature with sea as icing on the cake… just perfect combination! 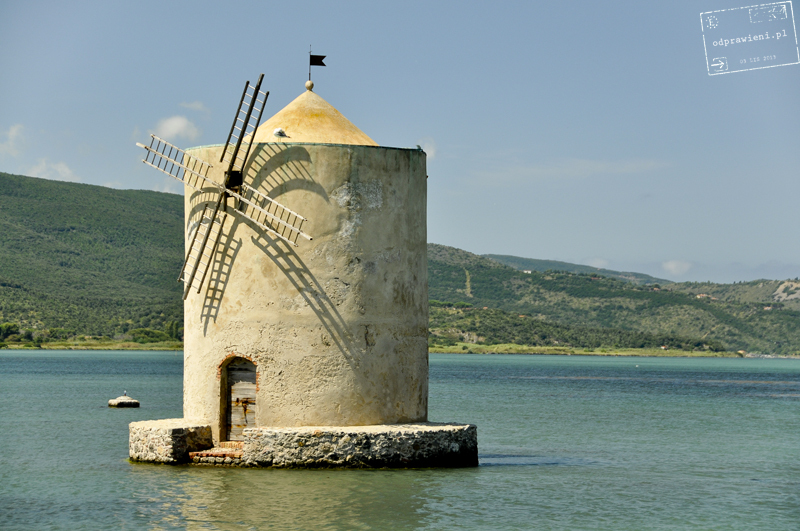 In the way to Orbetello. 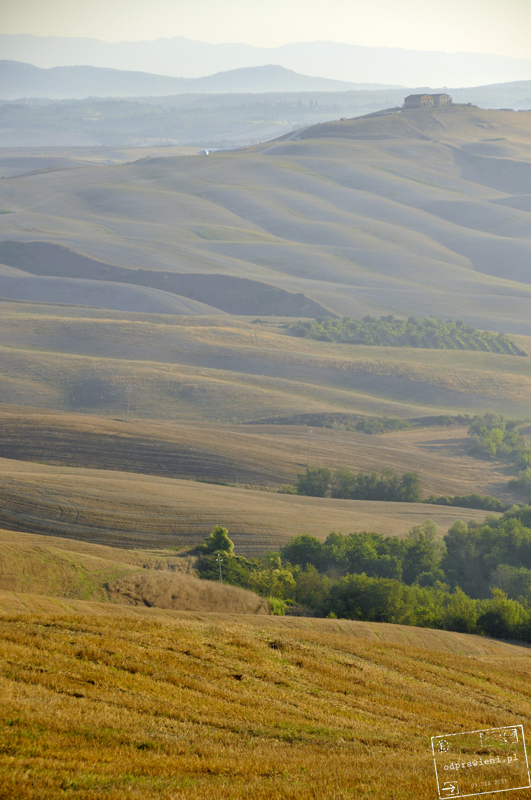 Camping in Tuscany? Check our TOP 7!